Vintage purses are becoming one of my favorite finds for my antique business. To begin with, I am enjoying carrying them myself which makes them not really for the business, hmmm I’ll think about that later. 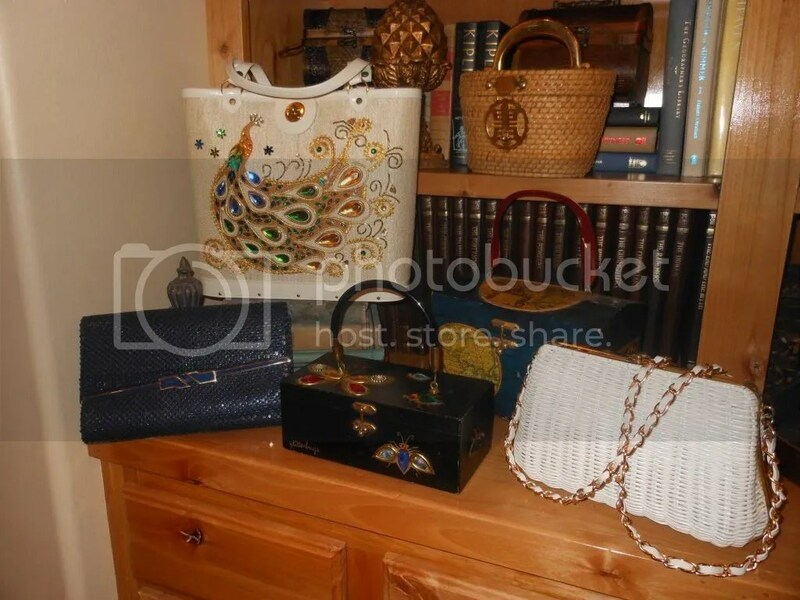 I used the black box purse, middle of photo, for a recent wedding. The wicker oriental purse will match a new dress. (Confession: I bought the dress to match the purse.) Best of all, the vintage purses are great conversation starters. After seeing one, ladies stop me and share their stories about the purse or the fashionable lady who carried one just like it. The memories these vintage beauties invoke are the best part. My favorite designer is Enid Collins (not sure if she is a relation) of Texas, who began her business shortly after WWII. It was a family business, with her husband and daughter, also named Cynthia, started at the kitchen table on their ranch in the Texas Hill Country. Her first sales were to Neiman Marcus and later to Joske’s of Houston. I am intrigued by her designs and the fact that she incorporated her husband’s engineering skills, an artist friend’s silk screening abilities, and her own costume design talents to embellish her wooden and canvas bags with jewels and sequins. 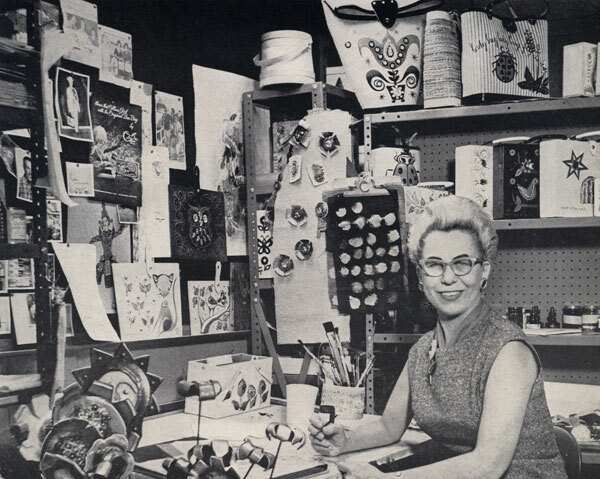 Below is a photo of her at work on new designs. The bags are no longer in production, but highly collectible. At some point, I will relinquish these beauties and place them in my antique booth. Meanwhile, I will be on the hunt for more to carry share. Next Post A Blessed House, A Blessed Nation?? ?